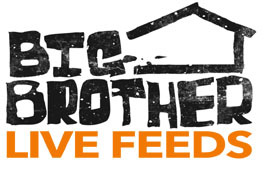 For the second season in a row, WeLoveBigBrother.com is getting the exciting opportunity to spend a day living in the Big Brother house as a temporary houseguest. It’s all part of Big Brother Media In-House Day and WLBB will be bringing you all of the details. WeLoveBigBrother.com’s Matt Maynard will be spending a day in the Big Brother house and will have the opportunity to be one of very few people to explore the house before this season’s new houseguests move in. Matt will be taking part in the Big Brother Media In-House Day. 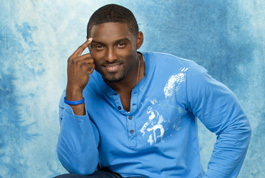 You might recognize Matt from our exclusive Finale Night interviews from Big Brother 11. WHAT IS BIG BROTHER MEDIA IN-HOUSE DAY? CBS and Big Brother select a handful of media outlets to spend a day in the house and compete in a week’s worth of Big Brother events all in one day. WLBB is excited to be participating in this amazing opportunity again this season! CBS started Media In-House Day to allow members of the media to showcase what it is like to live in the house, even if it is just for a day. How will Matt from WeLoveBigBrother.com do? Stay tuned! Matt will be “moving in” soon and will bring you everything you want to know about the new house and his experience on June 30th. Until then, be sure to follow us on Twitter to be notified the moment he talks about the experience. NEED A PRE-SEASON BIG BROTHER FIX? Why not try the Big Brother live feed free trial and re-live the excitment from past seasons with the replay feature. Plus catch plenty of post-BB11 content from the Rainbow Reality Reunion with past Big Brother houseguests. WeLoveBigBrother.com wants YOU to be the first to know when pre-season news becomes available. BB12 is our tenth season in operation and as always we will strive to be the first to bring you the latest news. Follow @wlbb on Twitter because we’ll be giving away TEN FREE LIVE FEED ACCOUNTS before the premiere of Big Brother 12.